Prove your allegiance to the Oakland Raiders in this Legend Men's Oakland Raiders Nike 2018 Salute to Service Sideline Performance Long Sleeve T-Shirt - Black. The crisp graphics and bold colors ensure your loyalty is easy to see. 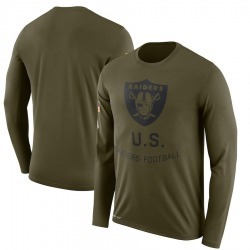 Prove your allegiance to the Oakland Raiders in this Legend Men's Oakland Raiders Nike 2018 Salute to Service Sideline Performance Long Sleeve T-Shirt - Olive. The crisp graphics and bold colors ensure your loyalty is easy to see. 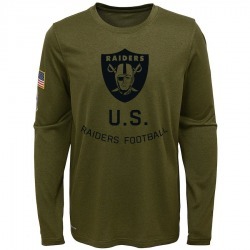 Prove your allegiance to the Oakland Raiders in this Legend Youth Oakland Raiders Nike 2018 Salute to Service Performance Long Sleeve T-Shirt - Olive. The crisp graphics and bold colors ensure your loyalty is easy to see. 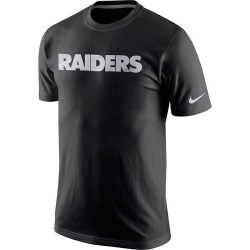 Prove your allegiance to the Oakland Raiders in this Men's Oakland Raiders Nike Fast Wordmark T-Shirt - - Black. The crisp graphics and bold colors ensure your loyalty is easy to see. Prove your allegiance to the Oakland Raiders in this Men's Oakland Raiders Nike Black Championship Drive Collection Performance T-Shirt - Gold. The crisp graphics and bold colors ensure your loyalty is easy to see. Prove your allegiance to the Oakland Raiders in this Legend Men's Oakland Raiders Nike Staff Practice Long Sleeve Performance T-Shirt - Black. The crisp graphics and bold colors ensure your loyalty is easy to see. Prove your allegiance to the Oakland Raiders in this Legend Men's Oakland Raiders Nike Staff Practice Performance T-Shirt - Black. The crisp graphics and bold colors ensure your loyalty is easy to see. 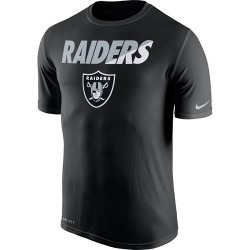 Prove your allegiance to the Oakland Raiders in this Legend Men's Oakland Raiders Nike Team Practice Performance T-Shirt - Black. The crisp graphics and bold colors ensure your loyalty is easy to see. 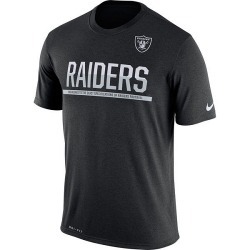 Prove your allegiance to the Oakland Raiders in this Legend Men's Oakland Raiders Nike Team Practice Performance T-Shirt - Charcoal. The crisp graphics and bold colors ensure your loyalty is easy to see. 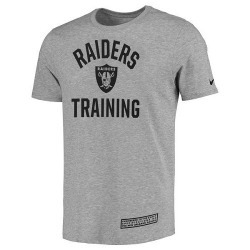 Prove your allegiance to the Oakland Raiders in this Men's Oakland Raiders Nike Heathered Training Performance T-Shirt - Gray. The crisp graphics and bold colors ensure your loyalty is easy to see. 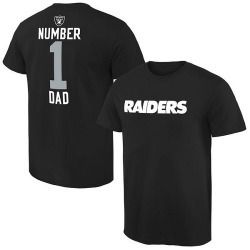 Prove your allegiance to the Oakland Raiders in this Men's Oakland Raiders Pro Line Number 1 Dad T-Shirt - Black. The crisp graphics and bold colors ensure your loyalty is easy to see. Prove your allegiance to the Oakland Raiders in this Men's Oakland Raiders Majestic Big and Tall Heart & Soul III T-Shirt - - Black. The crisp graphics and bold colors ensure your loyalty is easy to see. 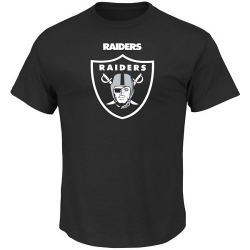 Prove your allegiance to the Oakland Raiders in this Men's Oakland Raiders Majestic Critical Victory T-Shirt - - Black. The crisp graphics and bold colors ensure your loyalty is easy to see. Prove your allegiance to the Oakland Raiders in this Legend Men's Oakland Raiders Nike Icon Performance T-Shirt - - Black. The crisp graphics and bold colors ensure your loyalty is easy to see. 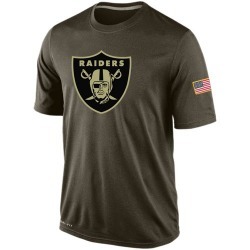 Prove your allegiance to the Oakland Raiders in this Men's Oakland Raiders Nike Salute To Service KO Performance Dri-FIT T-Shirt - Olive. The crisp graphics and bold colors ensure your loyalty is easy to see. 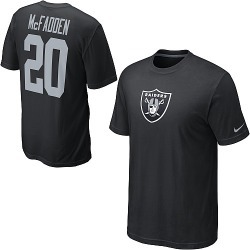 Prove your allegiance to the Oakland Raiders in this Men's Oakland Raiders Nike Darren McFadden Name & Number T-Shirt - - Black. The crisp graphics and bold colors ensure your loyalty is easy to see. 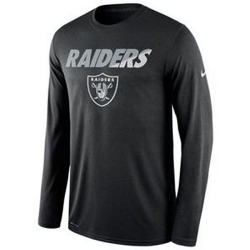 Prove your allegiance to the Oakland Raiders in this Authentic Men's Oakland Raiders Nike Font Long Sleeve T-Shirt - - Black. The crisp graphics and bold colors ensure your loyalty is easy to see. Prove your allegiance to the Oakland Raiders in this Authentic Men's Oakland Raiders Nike Font Long Sleeve T-Shirt - - Dark Blue. The crisp graphics and bold colors ensure your loyalty is easy to see. Prove your allegiance to the Oakland Raiders in this Authentic Men's Oakland Raiders Nike Font Long Sleeve T-Shirt - - Dark Grey. The crisp graphics and bold colors ensure your loyalty is easy to see. 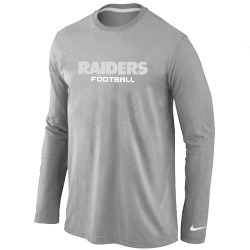 Prove your allegiance to the Oakland Raiders in this Authentic Men's Oakland Raiders Nike Font Long Sleeve T-Shirt - - Grey. The crisp graphics and bold colors ensure your loyalty is easy to see. Prove your allegiance to the Oakland Raiders in this Authentic Men's Oakland Raiders Nike Font Long Sleeve T-Shirt - - Red. The crisp graphics and bold colors ensure your loyalty is easy to see. 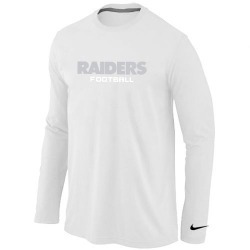 Prove your allegiance to the Oakland Raiders in this Authentic Men's Oakland Raiders Nike Font Long Sleeve T-Shirt - - White. The crisp graphics and bold colors ensure your loyalty is easy to see. 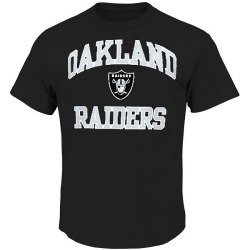 Prove your allegiance to the Oakland Raiders in this Authentic Men's Oakland Raiders Nike Logo T-Shirt - - Black. The crisp graphics and bold colors ensure your loyalty is easy to see. 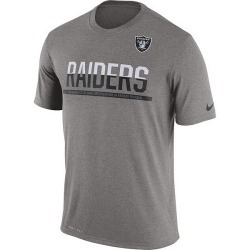 Prove your allegiance to the Oakland Raiders in this Authentic Men's Oakland Raiders Nike Logo T-Shirt - - White. The crisp graphics and bold colors ensure your loyalty is easy to see.